We carry a wide variety of butcher frocks and coats that help you stand up to the toughest food processing environments. Cleanliness of these items is also essential to your business, and we will come at a scheduled time to help you keep clean inventory. 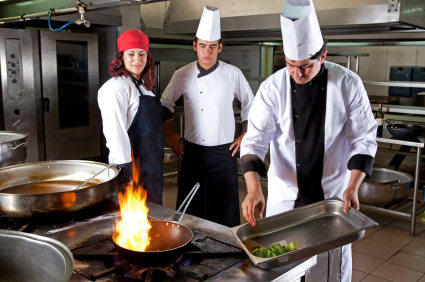 We carry aprons for both the behind the scenes part of the business such as kitchens, to the front line of the business such as servers and representatives. Multiple colors are available, and are durable fabrics. **Call us today and let’s help you get started with your new clean frock and apron program to ensure facility cleanliness!